In a country inspired by innovation and dominated by disruptive thinking, market differentiation represents a challenging undertaking for businesses in New Zealand. Boardrooms across the country are today dominated by conversations of transformation, as the data driven economy increases competition. In isolation, a transformation strategy is nothing new across a nation built on the technological foundations of ingenuity and entrepreneurship. But in 2018 - more so than before - organisations of all shapes and sizes are sitting at a crossroads, as digital, cloud and emerging technologies flood the market. Choice is seemingly endless but in pursuing innovation, significant complexities remain. For Martin however, customers trialling technologies to disrupt themselves is just a small part of the answer. “Don’t focus on the technologies rather focus on the significant and long-standing problems facing the business, and the industry (if appropriate), and then consider the changes possible including technology enabled changes,” he explained. 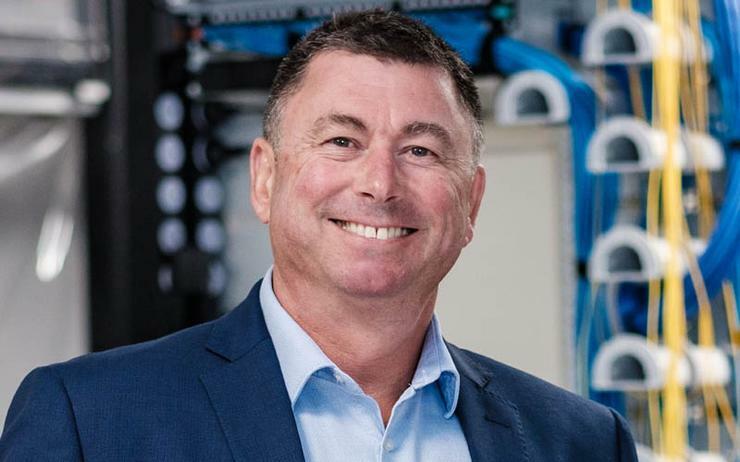 With more than 40 years of technology expertise, SAS IT is a New Zealand-based managed service provider (MSP) with trans-Tasman capabilities, backed by more than 65 staff in Auckland. Read more How do Kiwi businesses select managed security service providers? “More regularly we see non-IT business unit leaders making decisions that involve technology purchases,” Martin added. “For the most part this is a positive trend and not at all surprising given the enormous array of cloud-based applications available. However poorly coordinated deployment of IT systems can quickly lead to trouble. Martin said the reality for most organisations is that use of cloud applications is an essential part of remaining competitive, however at the same time running core non cloud-based applications is a "matter of survival". The real challenge emerging is how non-cloud and cloud applications are combined in a hybrid architecture, that delivers innovation whilst preserving stability. “SAS IT is embarking on a significant period of investment to ensure that we deliver additional value to our customers in what will be challenging and disruptive times,” said Martin, following consultation with customers across Australia and New Zealand. In assessing the technology landscape, the market houses two different types of MSP - those born in the cloud and those born in local data centres. According to Martin, born in the cloud providers often don’t understand the complexity of long established core systems running locally. While on the flip side, providers born in local data centres often struggle with infrastructure as code, and the even more complex world of cloud-based application software. “We are hybrid of these two types of MSP,” Martin explained. “Across Australasia we are known for our ability to run mission critical systems out of local data centres. The implication is that SAS IT is able to deliver whatever solution has most relevance for the customer, across either environment. From a technology standpoint, the business provides hybrid cloud (private connected to public) across seven data centres on both sides of the Tasman, leveraging solutions such as IBM Power Systems. Read more Auckland Transport CIO Roger Jones: "The big solutions are dead"
“So much of our role involves presenting information about the enabling technologies that are ‘most’ relevant,” Martin added. With more than four decades of market experience, SAS IT is well versed in the art of disruption, having served Kiwi - and some Australian - customers since 1974. Specifically, the business provides expertise across the secure hosting of mission-critical applications and hybrid cloud strategies, alongside IT procurement, business continuity, software development, and application integration.